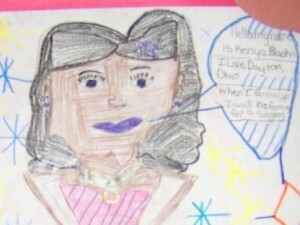 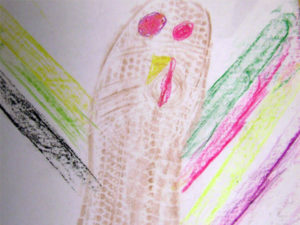 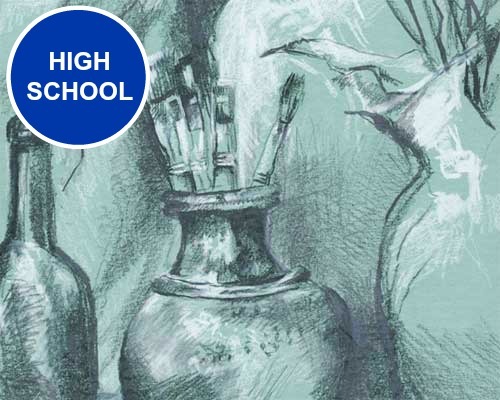 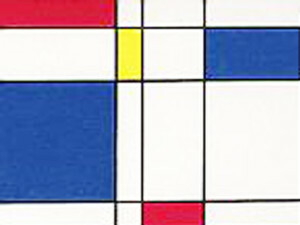 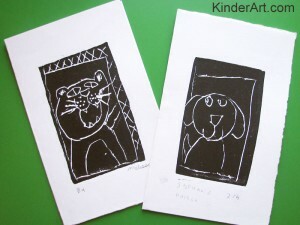 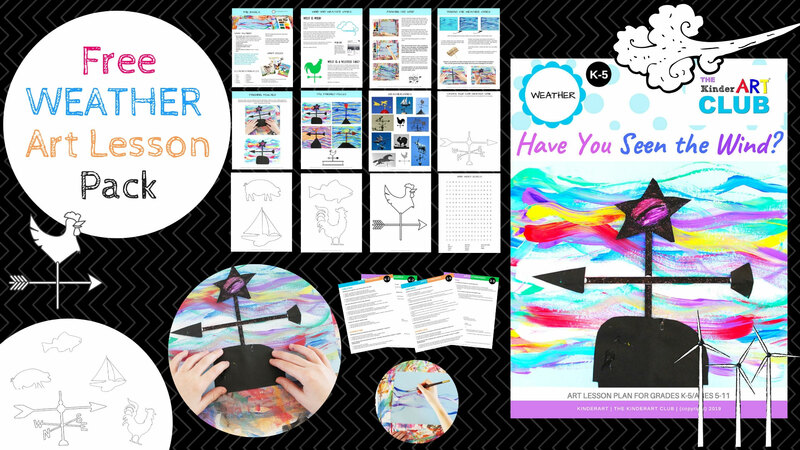 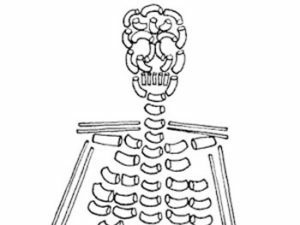 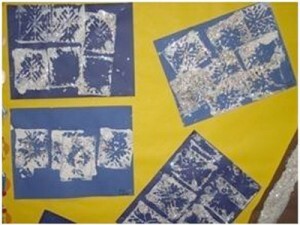 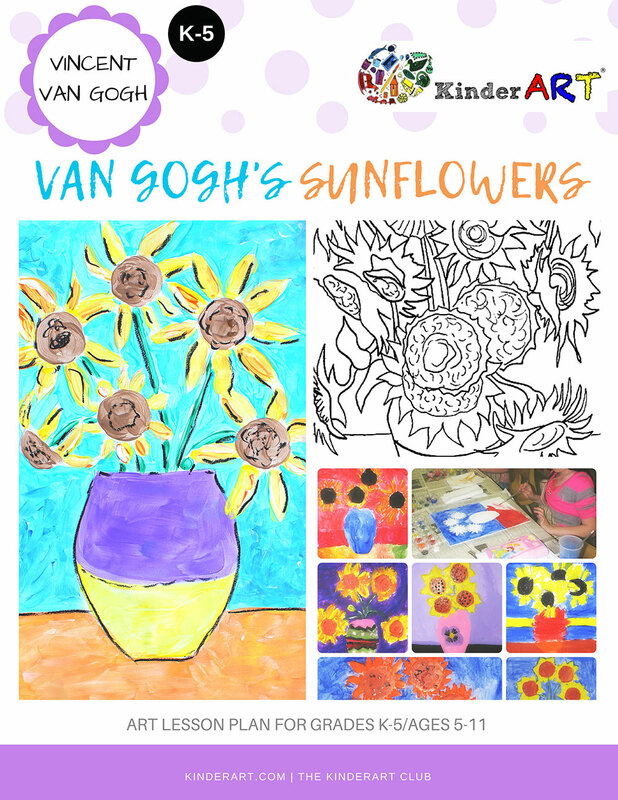 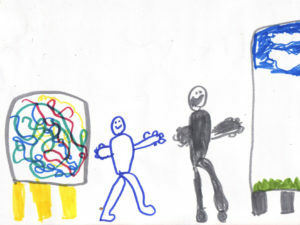 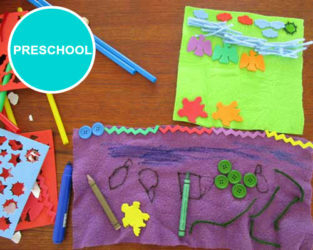 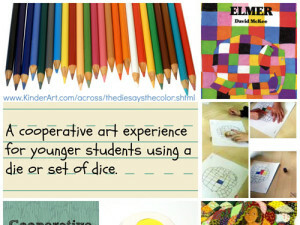 We’ve listed our Primary Grade Elementary art lesson plans here. 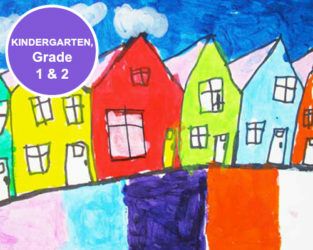 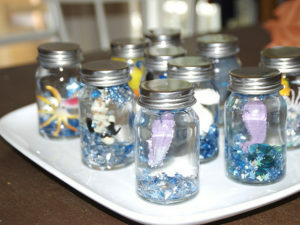 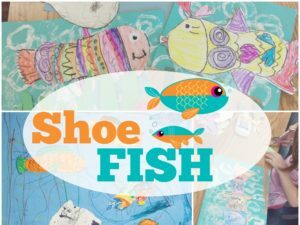 These activities are best suited for Kindergarten, Grade 1 and Grade 2 – or – ages 5 to 8 years. 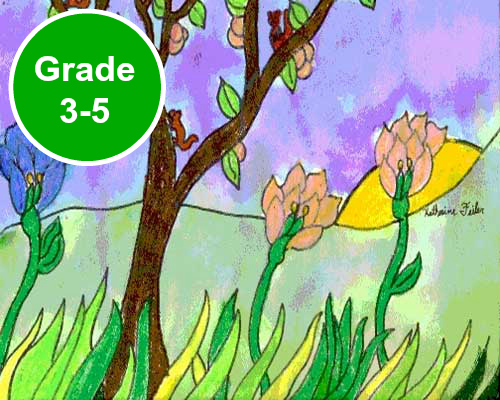 Grade levels are given as a guideline only. 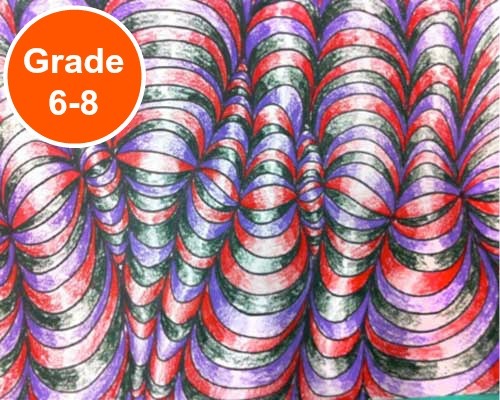 Find other grades HERE. 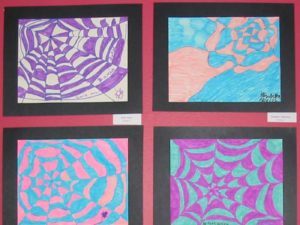 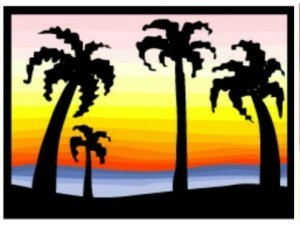 View by medium or discipline HERE. 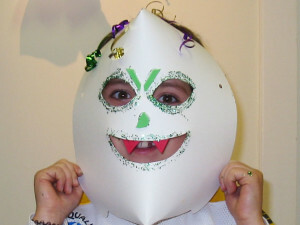 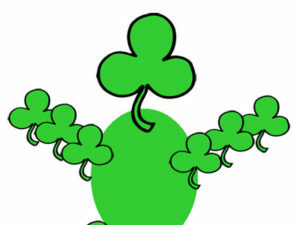 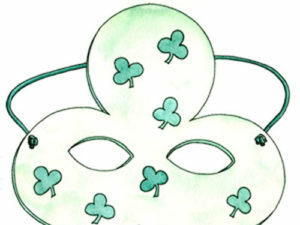 Kids can create a mask in the shape of a shamrock. 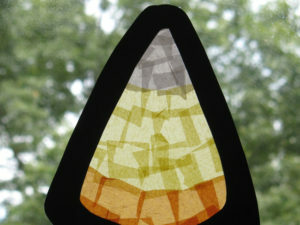 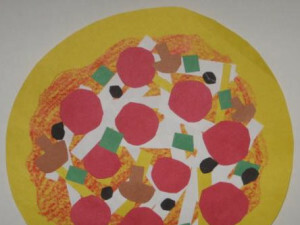 Kids can make shape collage pizza art out of pieces of construction paper. 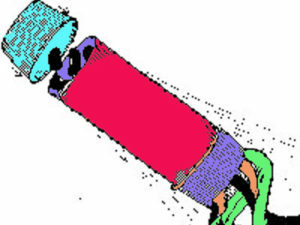 Make simple shakers using paper rolls. 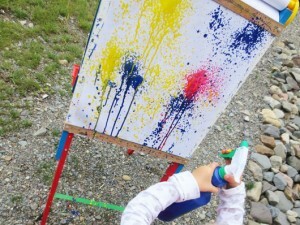 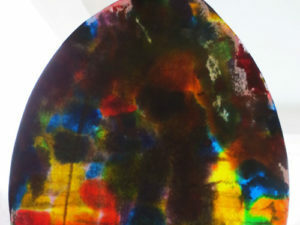 Students will use sponges as painting tools. 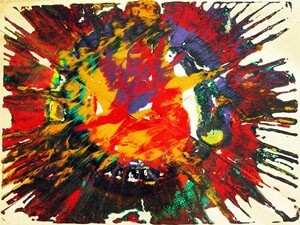 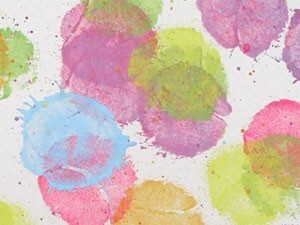 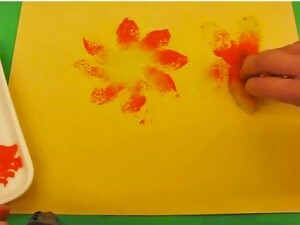 Using sponges and paint, students will make wonderful sponge painting flowers. 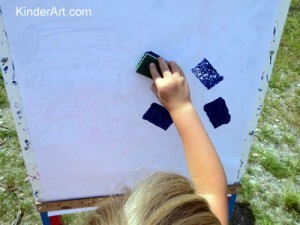 Mural painting with a spray bottle is a great outdoor, warm weather activity that teaches young children about color mixing. 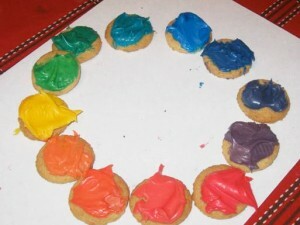 Students will learn about coloring mixing by using cake frosting and food coloring.